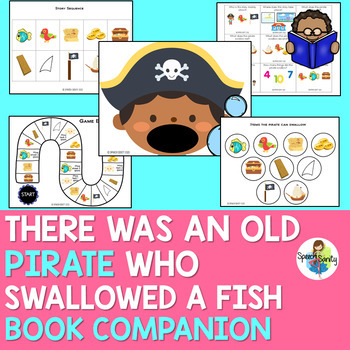 There Was an Old Pirate Who Swallowed a Fish by Jennifer Ward is a wonderful story to use with speech and language students! It is packed with colorful, engaging, and hilarious illustrations by Steve Gray and contains just the right amount of text to hold the attention of preschoolers and elementary students. 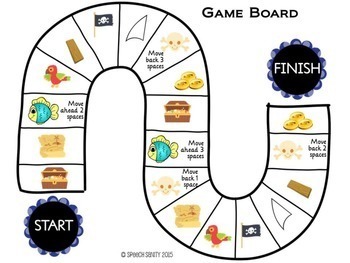 This story provides great rhyming, rich vocabulary, a simple story line for retelling, wonderful sequencing, and some great articulation targets for our most popular sound errors. I designed this book companion to be used in combination with the story during speech and language groups or with individual students. 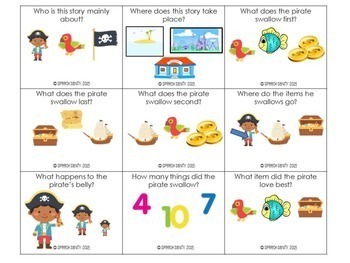 Are you looking for additional speech and language materials?